Dr. Brad Gold graduated from the prestigious University of Texas Callier Center with a Master’s of Science in audiology in 1999, followed by a doctorate in audiology from Salus University in 2008. His clinical training included the Dallas Veteran’s Administration. Motivated by the struggles of a father with a noise-induced hearing loss from 41 years of working a factory, Dr. Gold has been in the field of hearing aid dispensing audiology for the past 15 years. 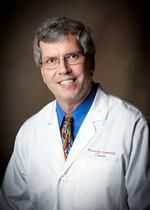 He is board certified by the state of Texas and American Speech-Language Hearing Association, as well as being a member of the American Academy of Audiology. Dr. Gold keeps up to date in all fields of audiology as well as hearing aid technology through continuing education classes. Dr. Gold was a science teacher in the public school system for nine years. Dr. Gold sees patients in our Richardson, TX clinic.